Emigration Canyon, which leads from the mountains into Salt Lake City, has long been known for pioneering efforts. 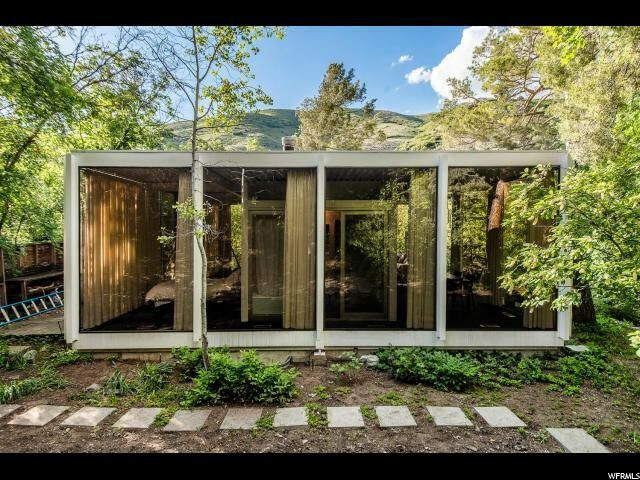 It’s also where John Sugden—one of Utah’s most esteemed architects—pioneered a unique Bauhaus style of architecture in 1965 with his glass house. 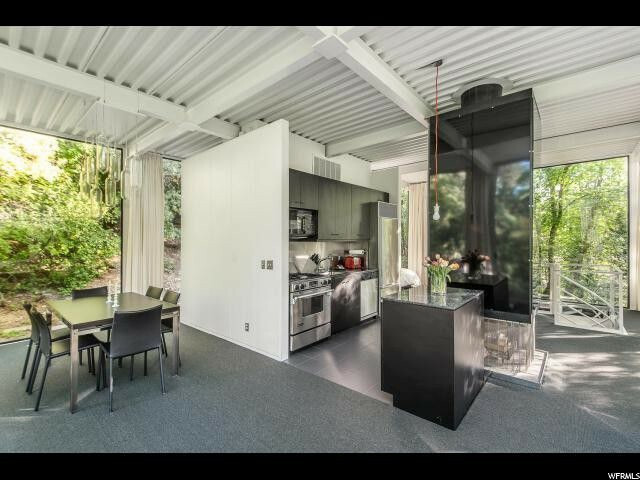 The 1,800-square-foot home was recently put on the market by its second owner for $950,000. Now a new owner will have the chance to enjoy gorgeous canyon views day and night. 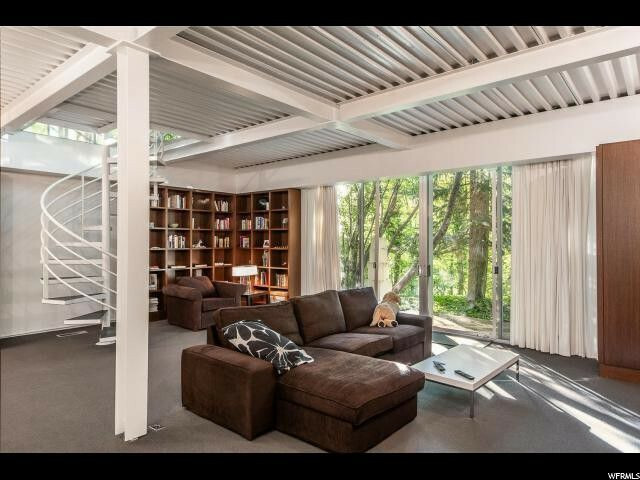 “The walls are all glass, so you feel as if you’re living among the trees,” says listing agent Mony Ty, who specializes in midcentury modern homes for Coldwell Banker in Salt Lake City. The building frame is made entirely of A36 steel. All exterior walls above ground are made of the original bronze-tinted glass, secured to the structure by neoprene zipper gaskets. The frame rests on an exposed, reinforced concrete foundation, and there is no indication of stress from ground movement in any part of the 53-year-old structure. 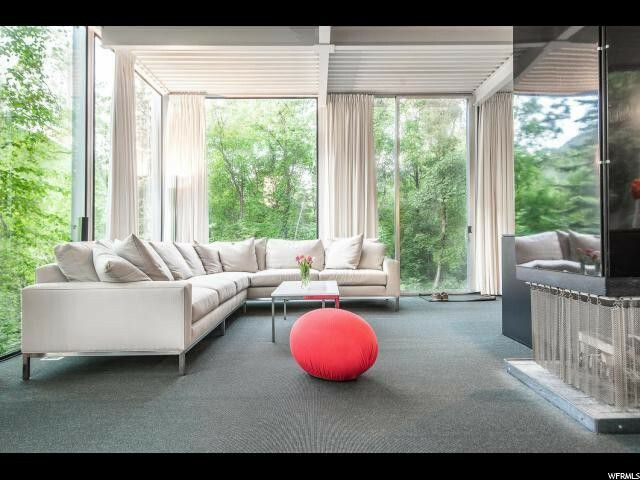 Sugden, a Utah native, studied architecture at the Illinois Institute of Technology under Mies van der Rohe, who was also the last director of the Bauhaus. Sugden worked for Mies until he returned to Utah in 1952. Sugden started his own architectural firm and became a professor at the University of Utah College of Architecture. He retired in 1993. Sugden built this one-bedroom, 1.5-bathroom house in Emigration Canyon in 1965. The downstairs served as his studio, while the upstairs was a private residence for his professional partner at the time. 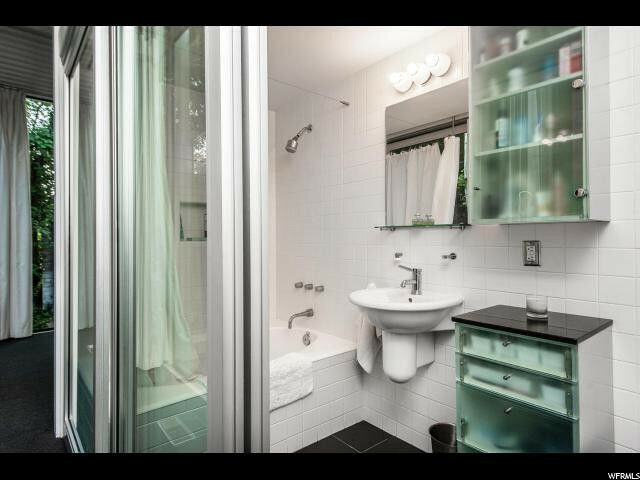 The downstairs space has built-in bookcases and a half-bath, but it could easily be converted into a master suite, Ty notes. “I’d love to see the University of Utah buy it, since it’s part of their history,” says Ty. 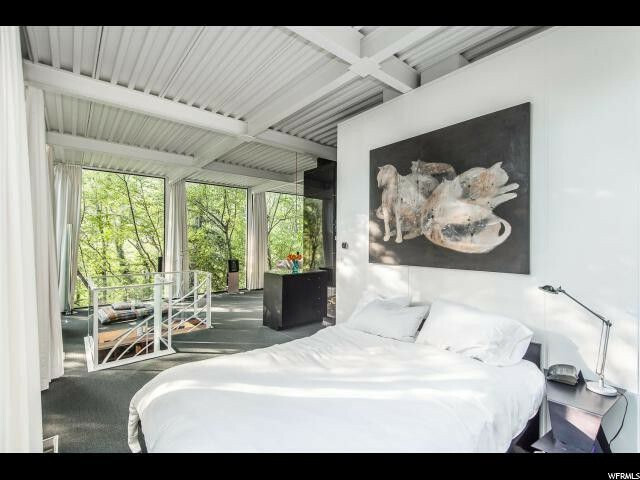 But the home is also ideal for an artist. “The building is historic, intact, and ready for continued occupancy without restoration or modernization,” the listing notes. Like Sugden, the current owner is an architect and has gone to great lengths to preserve the integrity and original design of the home. “I like to say that I sell art, and this home is a true work of art. There is no comparison,” says Ty.